Foam rolling, also known as self-myofascial release is a popular intervention used to enhance recovery and athletic performance in both males and females. Although more research is needed to confirm the effects, recent studies have indicated that foam rolling has positive effects. Common tools for this include tubular foam rollers and hand held massage sticks. These tools come in various sizes, shapes and foam densities. Used as part of a well-designed programme, the tools can be purchased and used at home or at the training facilities. The word ‘myo’ is a Latin term for muscle. The term ‘myofascia’ therefore refers to the two soft tissues. Myofascial release is a form of manual therapy used to reduced tightness. Current beliefs are that this localised tightness causes restriction to joint range of motion and local blood flood. Meaning manual manipulation of these tissues will encourage them to become more pliable. Muscle tissue and fascia contain mechanoreceptors. It is thought that through foam rolling, fascial mechanoreceptors will signal to the central nervous system to alter muscle activity below. The athlete uses their own body weight to apply pressure to the soft tissues during the rolling motion. Pressure during the rolling action is determined by the individual. Research suggests that using a foam roller for self-myofascial release for 30-60seconds. 2-5 sessions are recommended to increase joint flexibility pre-warmup and as a cool down. Combined foam rolling with static stretching post-exercise has been seen to get even better results! Joint range of motion – Foam rolling and roller massage may offer short-term benefits for increasing joint range of motion at the hip, knee and ankle without affecting muscle performance. Some research recommends that athletes should not solely foam roll the quadriceps due to the resulting decrease in hamstring activation. The hamstrings act as an antagonist to the ACL which could help reduce shear force on the ligament. Changes in muscle activation at the knee can cause imbalances and compromise the knee joint e.g. when landing which could increase ACL injury risk. Thus decreasing hamstring activation is not recommended. 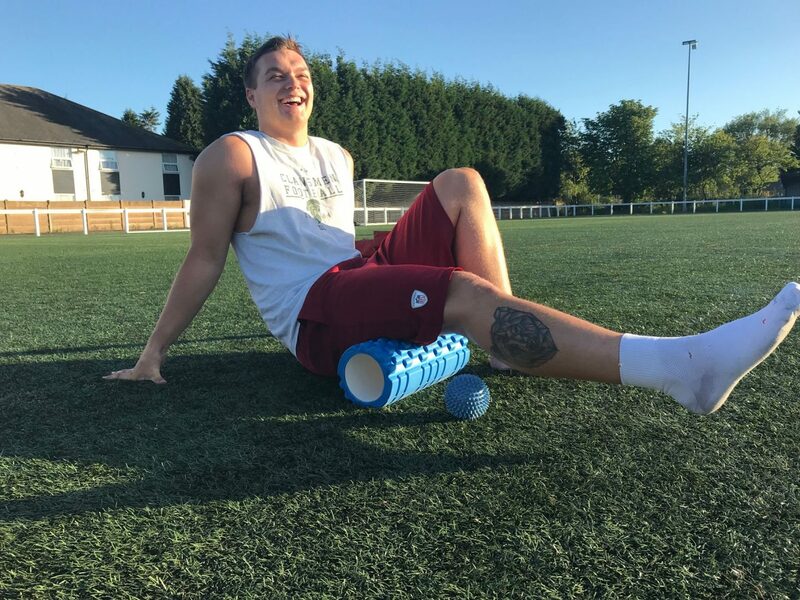 Post high intensity exercise – Foam rolling after high intensity exercise has been seen to allow for increased recovery and reduced perceived pain. Continued foam rolling (of 20 minutes per day) over the next 3 days has been seen to further decrease levels of muscle soreness. Two suggestions for this are – (1) Delayed Onset of Muscle Soreness (DOMS) is suggested to be caused by changes in connective tissue properties. Foam rolling could have an affect on the damaged connective tissue rather than muscle tissue which could explain why there is no apparent loss of muscle performance. (2) Foam rolling may increase blood flow, thus increase blood lacttate removal, edema reduction and oxygenating the muscle. Pre-activity – Current research does not support the enhancement of muscle prior to performance but nor does it negatively affect muscle performance. What research did find was a change in the perception of fatigue during the activity. This is turn could increase performance through improved work capacity over a longer period, possibly reducing risk of injury. Cardiovascular benefits – One study found foam rolling to decrease pulse wave velocity (associated with increased risk of first cardiovascular event) increase plasma concentration in healthy young adults. It also suggested that it may have favourable cardiovascular benefits. It has therefore been suggested that foam rolling could be introduced into exercise programmes to promote health. The true effects of foam rolling on myofascial release are unknown and there is confusion among experts regarding the physiology behind the results. Changes in range of motion have been suggested to be due to a number of changes: the altered viscoelastic and gel-like properties of the fascia; increases in intramuscular temperature and blood flow to the area due to friction of the foam roller; alterations in muscle-spindle length or stretch perception; and the breaking down of scar tissue and ‘remobilising’ of fascia back to a gel-like state. Unfortunately there limitations within the studies such as diversity within the study protocols, different outcome measures and intervention parameters (i.e. treatment time, cadence and pressure of self-myofascial release), the types of foam rollers differ etc. However this is a new emerging area of research, with the potential for some exciting future findings. As of yet, no research has found foam rolling to be detrimental to health and performance so get it in your programme! I would recommend using a foam roller pre and post training. In my own training and with clients I have seen results . ‘When is best to foam roll? If you don’t feel “tight” should you still foam roll? Research suggests it is beneficial to foam roll pre and post exercise. Even if you don’t initally feel ‘tight’ then you might reap the benefits of foam rolling such as increased performance e.g. sprinting. I would therefore recommend foam rolling even if you feel like you don’t need it. Whether self-myofascial release reduces the risk of injury or corrects injury is unknown. However with the proposed benefits of increased joint range of motion, reduced levels of perceived fatigue and improved recovery, these suggest that by foam rolling you may increase levels of performance through continued training because of lack of fatigue, reduced injury due to less stain at joints and increased periods of training because of improved recovery. With this I would believe foam rolling is more preventative than corrective. Myofascial trigger points are thought to cause muscular pain. It is believed that by eliminating the trigger point, you will elminate pain. A trigger point is a small pea-like area of hyper-irritability located in a taut band of muscle. This area is normally painful to touch and refers pain and tenderness. Trigger points may result from trauma, overuse, mechanical overload, postural changes or psychological stress. A study by Hanten et al. (2000) suggests a home programme of self-myofascial release is of benefit to reducing trigger point pain and sensitivity. It appears that higher density foam rollers have a stronger effect than a softer density. The higher density foam rollers produced more pressure to the targeted tissues during rolling. 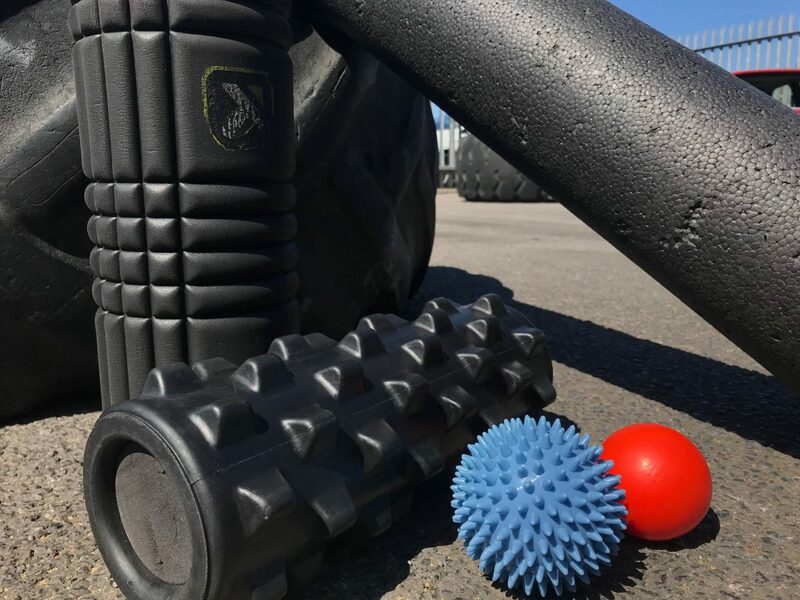 If you’re new to foam rolling then I would suggest using a softer density roller and work yourself up to one with nodules – it can be quite uncomfortable at first! TKMAXX is a great place to buy them! I would advise using a tennis or hockey ball when you want to apply more localised pressure. For instance, due to the large amount of muscle in the glutes it’s often difficult to get deep pressure. Using a ball will allow you to get in deeper. I also like to use a ball against a wall to target the rhomboids . One I’ve had to ask about/experiment with…Try working on the edge of a foam roller so that your sensitive area is not in contact with the roller. Alternatively you can use the end of a barbell to roll the quads while sitting on your bottom. It’s heavy though so watch out for the pain! Small studies suggest foam rolling with vibration increase ankle range of motion. Studies so far have only found short-term benefits with changes decreasing as time went on and the long-term effects are still unknown. Despite the gaps in evidence I would still recommend foam rolling to all athletes if you want to stay at the top of your game. I’ve had great results personally and with clients! Individual programmes for foam rolling can be written dependent on the needs of the athlete. No optimal prescription has yet to be identified, however the recommended period of time is 30-60 seconds x3-5 sets on each area. It is advisable to roll 3-5 times per week consistently to achieve and retain the benefits. If you get bored easily try rolling just after training/a game. I believe that little is better than nothing! Or why not distract yourself and roll while watching TV each evening. I’m sure you can manage that!? If you find a tender, lumpy spot, gently roll back and forth on this area. If this is too much pain to take then non-localised rolling around the tender spot can also decrease perceived pain in the tissue. Foam rolling is a self-myofascial release tool using the individuals own bodyweight. Some areas of muscle can be alot more tender than others. I would always recommend working within your pain threshold so this might mean easing off a little during the rolling. You might find your tissue feels different when rolling after one session to another. Don’t worry about this, just adjust accordingly. Many foam rollers require you to support your weight through the upper extremities. Not everyone is comfortable or strong enough to do this. 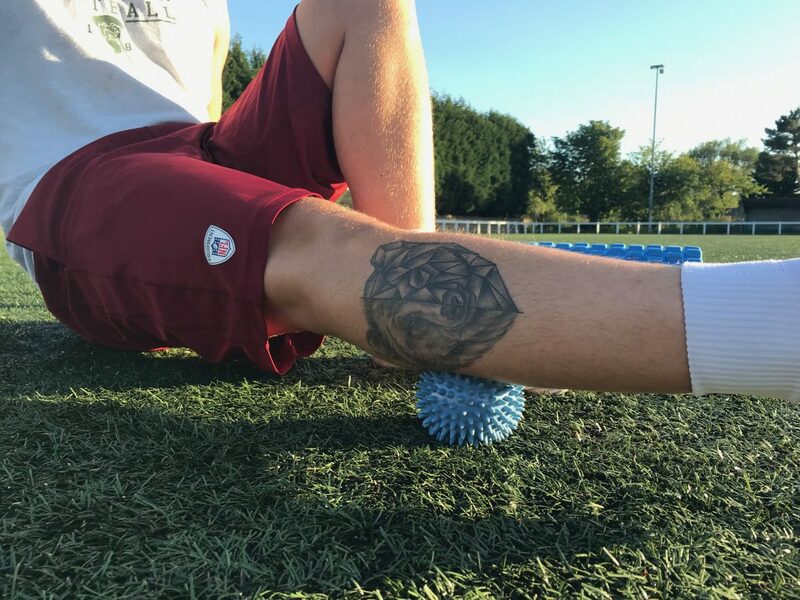 Take your time and you will gradually build up the strength to support yourself rolling, allowing you to apply more pressure through the roller. Foam rolling both pre and post training can have positive effects on your athletic performance. Thank you to everyone who sent in their questions for this blog post! Aboodarda, S.J., Spence, A.J. and Button, D.C., 2015. Pain pressure threshold of a muscle tender spot increases following local and non-local rolling massage. BMC musculoskeletal disorders, 16(1), p.265. Cheatham, S.W., Kolber, M.J., Cain, M. and Lee, M., 2015. The effects of self‐myofascial release using a foam roll or roller massager on joint range of motion, muscle recovery, and performance: a systematic review. International journal of sports physical therapy, 10(6), p.827. Beardsley, C. and Škarabot, J., 2015. Effects of self-myofascial release: a systematic review. Journal of bodywork and movement therapies, 19(4), pp.747-758. D.Behm,. Foam Rolling of Quadriceps Decreases Biceps Femoris Activation. 2017.
myofascial trigger points. Phys Ther 80: 997-1003, 2000. Peacock, C.A., Krein, D.D., Silver, T.A., Sanders, G.J. and Von Carlowitz, K.P.A., 2014. An acute bout of self-myofascial release in the form of foam rolling improves performance testing. International journal of exercise science, 7(3), p.202. Okamoto, T., Masuhara, M. and Ikuta, K., 2014. Acute effects of self-myofascial release using a foam roller on arterial function. The Journal of Strength & Conditioning Research, 28(1), pp.69-73.